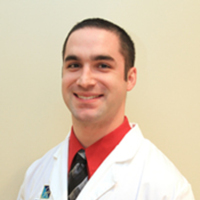 Dr. Kevin Schlee is a dentist in Springfield, IL. He graduated from the prestigious Illinois Math & Science Academy and completed his undergraduate studies at the University of Illinois at Champaign where he earned a Bachelor of Science Degree in Biology and a Minor in Chemistry. He received his doctorate from the University of Illinois at Chicago Dental School. He is also fluent in German, and he looks forward to providing you with gentle, comprehensive dental care that can improve your life. Went for annual routine check up. I have Always liked their practice. My whole family loves coming here more than any other dentist places they have been to. They are honest and friendly especially the receptionists at the desk. I continue to drive 45 minutes just because of their wonderful after hours schedule open until 8pm and the staff are very friendly and family like. They are easy to schedule and work with. Always professional, knowledgeable and polite. I actually look forward to coming in for my bi-yearly cleaning because I know they are helping to keep my mouth healthy. Very professional but also talks to you on a personal level. Explains why certain treatments are recommended and helps you enhance your oral health. Very friendly. Painless and relaxing visit. Knowledgeable and informative. Great work. Good care. will recommend. have also seen other doctors at this office. go for my annual routine appointments. never had any problem with their office. Good care. will recommend. Recently went for crown. It is expensive to get a crown. Dr Schlee's office work with insurance very well. will recommend. Went for urgent Root canal while visiting US. excellent facility and dental care. I saw Dr. Schlee for annual dental check up. Found few cavities and treatment done very quickly. I have seen Dr. Schlee and other doctors at Advance dental care. Always good care. He is my regular dentist. Have seen him for few years till I moved to Jacksonville. I have seen Dr Schlee multiple times. Have always received timely and good care. Are you Dr. Kevin Schlee or a manager for this practice? Claim your profile for free! You can update your picture, qualification and description. You can respond to patient reviews for free.